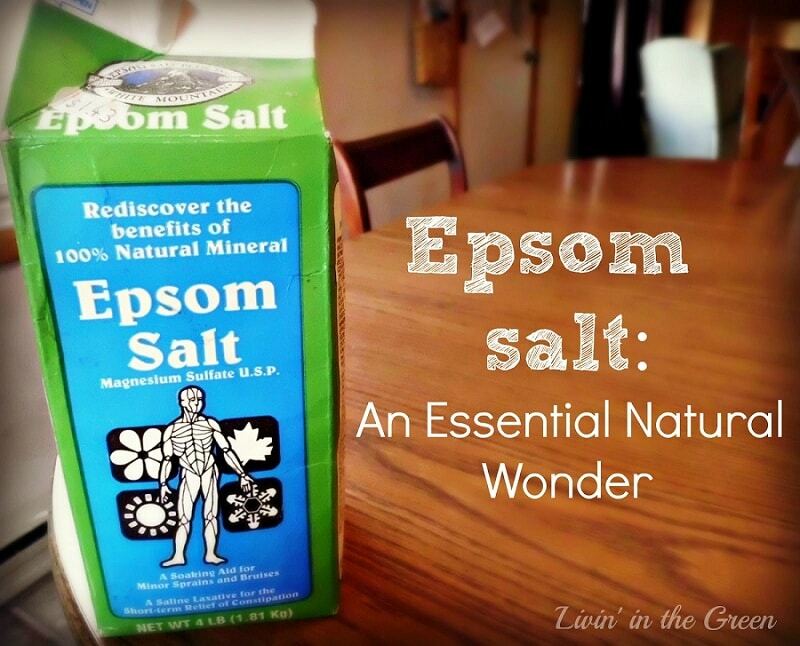 Epsom Salt has a long and interesting history. Epsom salt is magnesium sulfate, which was found in 1770 in a mineral spring at Epsom that is located in England. The location where the salt was discovered was at one time named after an Anglo-Saxon: Ebbasham, which actually means Ebbi’s homestead. Today, the original location of Epsom Salt’s discovery has been completely exhausted and has been so since the 19th century. During the Elizabethan Era, the impressive medicinal properties of the salt were identified. Today, anyone asking the question “What is Epsom salt used for,” will be amazed at the myriad answers he or she will receive. Epsom Salt’s name is quite deceiving. In fact, the product is not a salt at all. Rather, the product is a combination of sulfate and magnesium: A mineral compound. Researchers have found that the skin readily absorbs Epsom Salt with ease. The magnesium in Epsom Salt thereby lends the body its healing attributes. The mineral is responsible for regulating over 300 enzymes, minimizing swelling and inflammation, and it assists in improving nerve and muscle function. Magnesium is good for the cardiovascular system, helps to prevent the hardening of one’s arteries, and helps with reducing pain and discomfort. Meanwhile, sulfates help in diminishing the discomfort associated with migraines; help in reducing the amount of toxins in the body, and increase the body’s ability to absorb nutrients. So, what else is Epsom Salt used for? The mineral compound is a blessing for the mind, the body, and the soul. The product will reduce bodily toxins, speed up the healing of minor cuts, diminish pain and discomfort associated with strains and sprains, and will help in minimizing issues and conditions of the skin. What’s more, Epsom Salt has been used successfully to deal with the symptoms associated with the common cold and congestion. From easing the pain associated with backaches, to potentially helping in alleviating conditions like restless leg syndrome, Epsom Salt should hold an important place in every home. Check out our article on how to treat common cold using natural remedies to give you more insight. All of the organs in the human body require magnesium for functioning: This is particularly true for your kidneys, muscles, and your heart. Magnesium is a calcium regulator and it regulates vitamin D, potassium, Zinc, and copper levels in the body. If you are suffering from a magnesium deficiency in the body, you may experience a wide range of symptoms. Not enough magnesium can lead to issues with nail growth, muscular weakness and spasms, confusion, abnormal heart rhythms, stomach upset, irritability, restless legs, agitation, and even anxiety. You need to take care when using Epsom Salt, especially if you consume the salts to serve as a tonic or laxative. If you consume too much magnesium, you can end up having issues with the kidneys, as this is the chief organ that excretes the mineral. Therefore, if you have issues with your kidneys, you should to a doctor before you consider using Epsom Salt orally or topically for transdermal absorption. Excessive magnesium can lead to the onset of vomiting, nausea, low blood pressure, slowed heartbeat, arrhythmias, respiratory paralysis, cardiac arrest, coma, and mineral deficiencies. At minimum, you may experience diarrhea and stomach irritation. Epsom salts are revered for the fact that they can make a relaxing soak or bath even more relaxing. If you fill a tub with hot water, add about a cup of the Epsom salt, and add a touch of dried lavender, you will have one of the most relaxing baths you have ever had in your entire life. There are different Epsom Salt bath recipes you can use too. You can add two cups of the salt and about a ½ cup of olive oil to give the bath water an extra moisturizing element. Soak in the tub for 15 to 20 minutes. You can take these relaxing soaks up to three times a week, and you will be able to distress the body, your muscles, and your mind. Epsom Salt baths are also excellent for anyone that suffers from arthritic joints or inflammation. The magnesium in the Epsom Salt softens skin. To that end, you can add a cup of salt to a foot soak. If you soak for 20 minutes or so, you will be able to soften your skin with considerable ease. You can also make a foot scrub out of Epsom salt by mixing the salt with some almond oil (1/4 cup), 15 drops of lavender or peppermint essential oil, and liquid castile soap (1 tsp). Use about a teaspoon of the mixture as a foot exfoliate, and wash off with warm water. After you have exfoliated the feet, make use of a pumice stone. When asking what is Epsom Salt used for, one of the first things that should come to mind is the healing properties of salt. 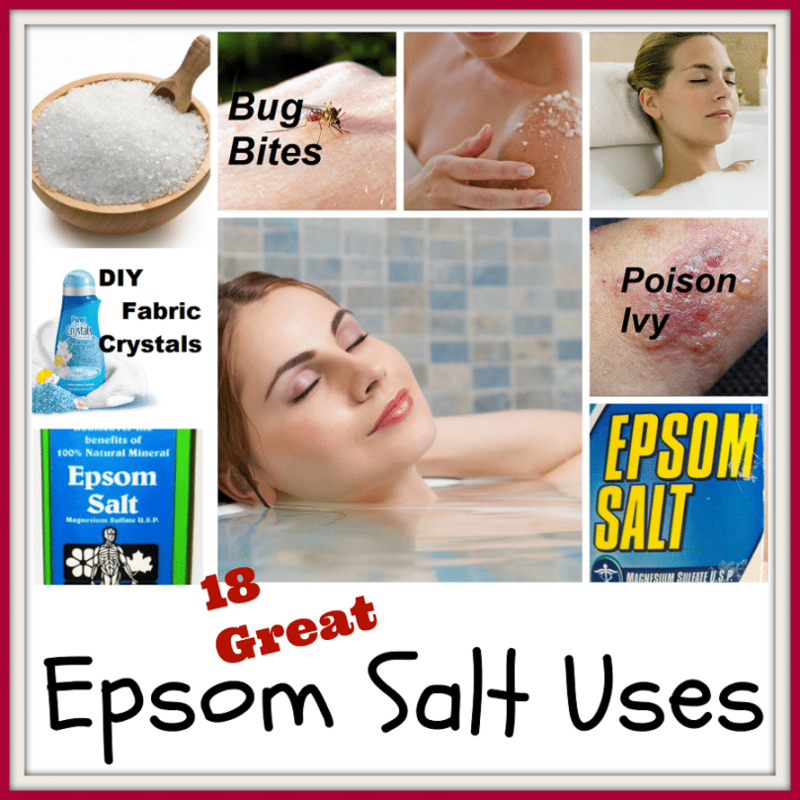 Epsom Salt can be used for first aid and natural healing remedies. For instance, a cup of cool water with about two tablespoons of the salt is a great treatment for bug bites and for diminishing itchy skin. 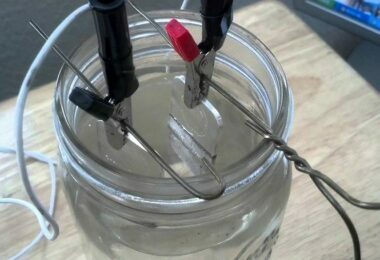 You need to allow the salt to completely dissolve in the water. Use a cotton ball to apply it directly to the affected areas or simply get your hand very wet with the concoction and rub it on the skin like lotion. In terms of skin relief, if you happen to suffer from sunburn, you can use an Epsom Salt spritz for relief. Add the salt to water and put inside a spray bottle. Spray on affected areas like a mist. Make sure you do not use the mixture on any open cuts as it may sting. Epsom Salt is an excellent remedy for splinters since the salt helps draw out the foreign body under the skin. Mix some luke warm and a few tablespoons of Epsom Salt together. Allow the affected area to soak in the water to help in drawing out the splinter naturally. The Epsom Salt also helps in diminishing the amount of inflammation and irritation around the splinter while it softens the material the splinter is made of so it is easier to get out of your skin. When thinking about what Epsom Salt is used for, many people might first imagine a good foot soak. In fact, the salt is excellent for alleviating the achiness that accompanies sore feet, but it is also excellent for diminishing it irritation, soreness, and itchiness that comes with having Athlete’s foot. What’s more, the use of Epsom Salt in your foot soak helps deal with conditions like fungal infections affecting the toenails. Soaking your feet in some hot water and some Epsom Salt promotes speedier healing. Meanwhile, the symptoms of Gout, s another condition affecting the feet and causing considerable discomfort, can be diminished with a good foot soak containing Epsom Salt. The soak not only minimizes pain but it helps to reduce the inflammation and swelling associated with the condition. If you find you are suffering from bodily aches and pains, bruises, and sprains or sore muscles, warm water baths with Epsom Salt are just what the doctor ordered for relief. The bath will give you a boost of magnesium transdermally. This means the skin absorbs the much-needed magnesium after the ions break free from the salt molecules and trigger serotonin production while simultaneously diminishing adrenaline effects in the body. 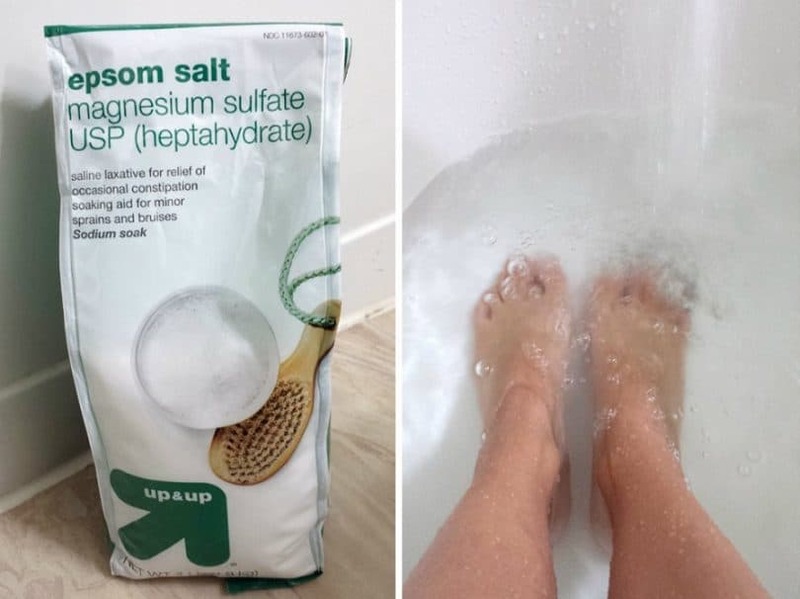 What’s more, the magnesium rich Epsom Salt helps you feel relaxed, refreshed, and therefore reduces anxiety levels while leaving you feeling renewed. There is some research suggesting Epsom Salt may alleviate headache symptoms and it also serves to diminish cramping, muscle tension, joint pain, and general discomfort. Take a look at our article on how to treat anxiety with natural remedies for more information. While adults may find Epsom Salt relaxing and a great way to unwind, the same goes for children. If you have children that are a bit on the energetic side and it is right before bedtime, you can have them bathe them in an Epsom Salt bath to ensure a relaxing and peaceful night’s sleep. Just a teaspoon in the water is all you require. Please note it is always recommended that you speak with a physical first before you use Epsom Salt with children. A bath three to four times weekly with a cup or two of Epsom Salts added will help improve cardiovascular functioning, reduce hypertension, diminish stress, and will prompt good circulatory processes. In turn, by promoting good circulation, Epsom Salt also diminishes the chance of developing clogged arteries or blood clots, and it minimizes inflammation will simultaneously keeping the arteries elastic and therefore protected. Whether exposed to Epsom Salts transdermally or orally, the compound is capable of improving the production of insulin in the body and it can also prove an aid in regulating glucose levels in the blood, and thereby minimizes the chances of diabetes onset while simultaneously increasing one’s energetic levels. As per the Epsom Salt Council, the remedies one can draw from the use of Epsom Salt are not based on folktales. Rather, a number of profound studies have successfully demonstrated how Epsom Salt proves beneficial to the human body in myriad ways. According to experts, today’s adults do not get enough calcium. Nearly 68 percent of adults in the United States do not eat enough of the right foods to maintain appropriate magnesium levels in the body. In terms of the Recommended Daily Allowance (RDA), up to 19 percent of people in the US consume under half of the suggested RDA, as per information derived from the American College of Nutrition. 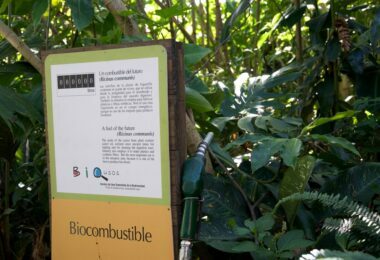 The compound is perfect for detoxing the body, as it serves as a saline laxative. Before using this remedy for dealing with constipation, it is highly suggested you consult with your doctor first. 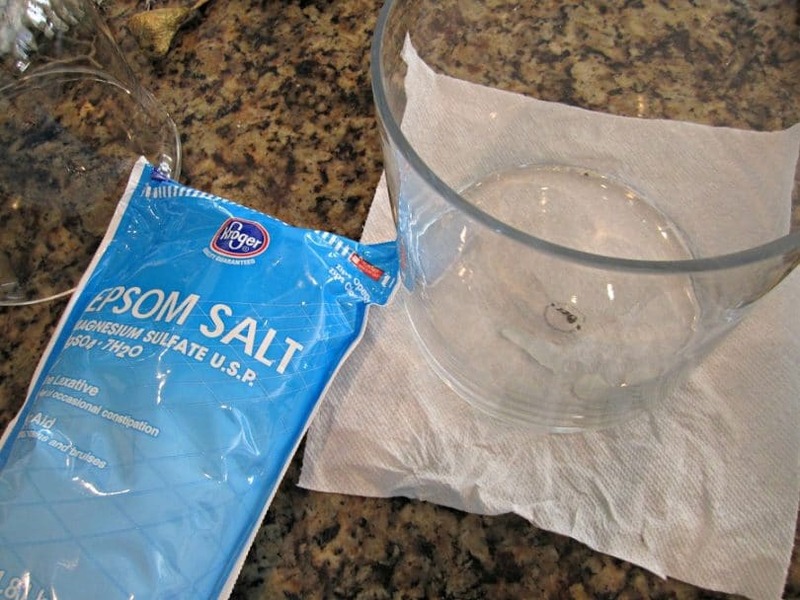 To consume Epsom Salt orally all one has to do is add two teaspoons of the product into a warm cup of water. Stir and dissolve the salt. Once the salt is entirely dissolved, drink the concoction. You should only drink the salt water once a day and no more. If you still have issues with constipation after a few days have passed, it is time to contact your doctor for medical assistance. The reason that Epsom Salt works well as a laxative is that it helps in increasing the amount of water in the intestinal tract. There are many ways to improve your garden with Epsom Salt. 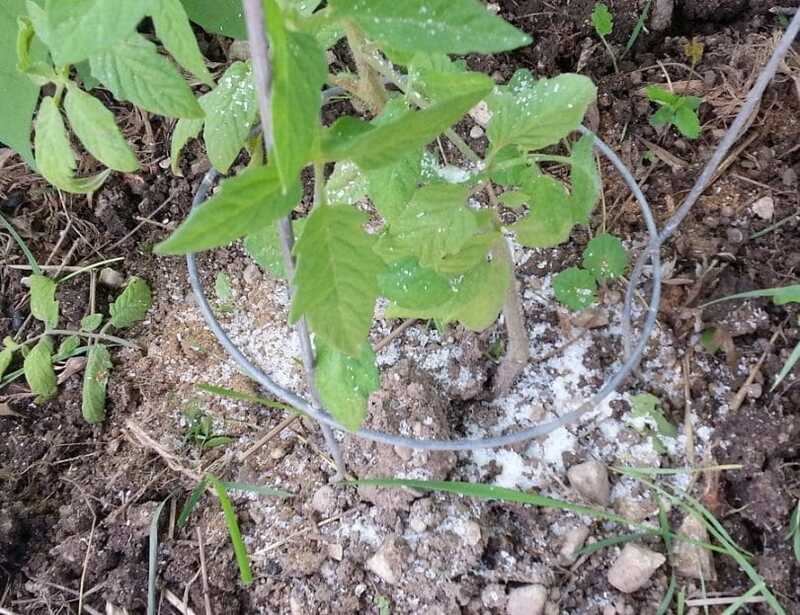 First, if you want your vegetables to have improved growth, you can add one tablespoon of the product to the plant soil just beneath your tomatoes to improve plant growth. The same goes with your roses: All you need is about a tablespoon of Epsom Salt that you can add to the soil on a weekly basis right before you water your plants. In fact, adding Epsom Salt to the soil before you even start the planting process will improve the amount of magnesium in your garden’s soil. At the same time, Epsom Salt can be used to banish pests like slugs, which might otherwise ruin your plants and vegetables. All you have to do is take a bit of Epsom Salt and sprinkle it all over the ground where you want to keep slugs at bay. Some Epsom Salt on your lawn assists chlorophyll molecules in grass and helps ensure a greener lawn. What else can you use Epsom Salt for? How about indoor plant care as well. You can feed your indoor plants with a mixture of water and Epsom Salt as the mineral compound is one of the chief ingredients in different plant foods. All you have to do is sprinkle a bit of the salt on your vegetables and flowers as well as your houseplants weekly to ensure your plants are getting all the nutrients they need to thrive. If you want to improve the greenery of your lawn, use magnesium sulfate. It is added to the soil in your yard and will diminish the likelihood your grass will yellow and change colors. Magnesium is important to the plant molecule known as chlorophyll, so the ingredients in Epsom Salt help to ensure the longevity of your plants and flowers. Add to a gallon of water about two tablespoons of the mineral. You can sprinkle the mixture on your lawn, plants, and flowers to improve growth. When you are dealing with your lawn, you will need three pounds of Epsom Salt for every 1200+ feet of land. You can use a spreader to apply the mixture to your yard. 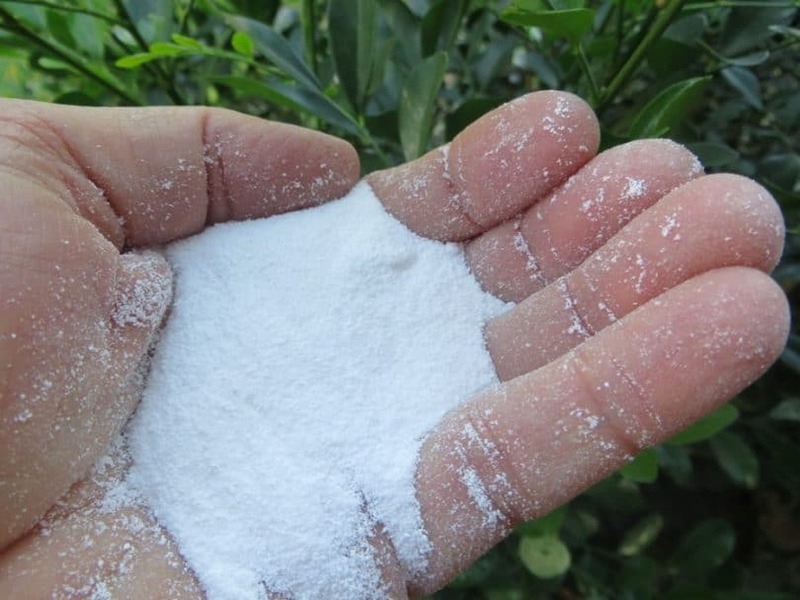 If you want to deal with an all-natural insecticide, you can use Epsom Salt to derive away the pests that might otherwise attempt to destroy your garden, household plants, and flowers. 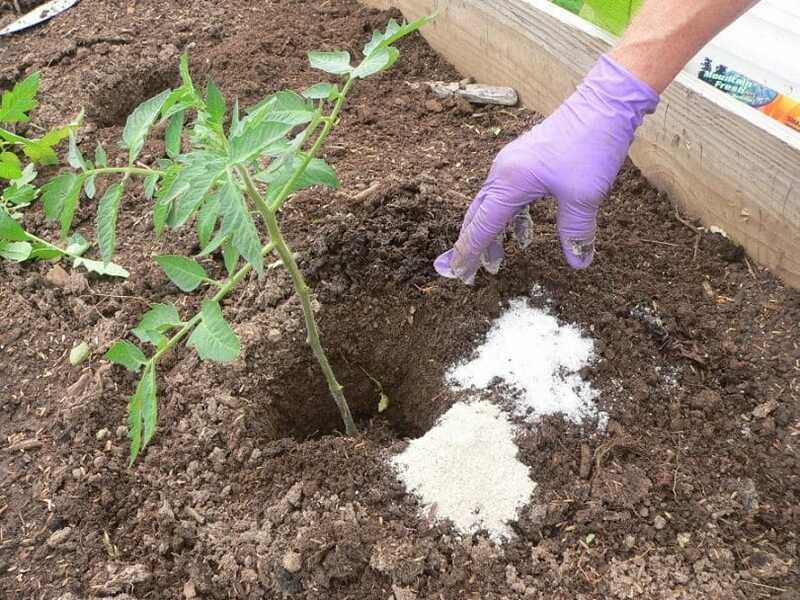 Just as you can use Epsom Salt on tomato plants, you can also get growth from your pepper plants if you treat the soil with the mineral compound. Make sure you create a mix of a gallon of water and a half-cup of the Epsom Salt and add the mix to unplanted plant roots to encourage recovery. Then, when you are prepared to plant the bush, added a tablespoon of the salt to the hole you will plant the bush in outdoors. You can do the same for shrubs and trees to ensure better growth. To protect your garden and give it the best chance to grow and thrive, you can pretreat the soil with Epsom Salt before you plant seeds and starter plants. For every 100 square feet of garden or planting space, you will need about a cup of Epsom Salt. If you plan on growing fruits, you can start protecting the plants by ensuring they have a nutrient-rich place to grow. You need about 1/4 of Epsom for every 500 square feet of planting space that you can apply to the soil and whenever you water the plants. Epsom will assist in the separation of soil and fertilizer, which means your plants, will get greater nutrients from the fertilizers you use. There are commercial fruit growers who adamantly assert that fruit, when treated with Epsom Salt when growing, tastes sweeter as a result. One important note here: You should not use the mineral when growing sage, as the herb does not do well when exposed to magnesium sulfate. So what else is Epsom salt used for? As mentioned earlier, Epsom Salt can be used to deter garden pests like slugs. 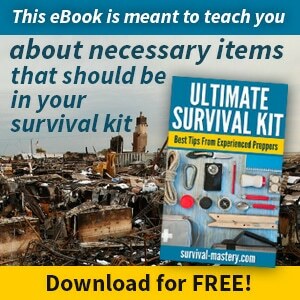 However, it can also be used to deter raccoons. The critters are often attracted to home waste and trash when it is placed in cans outdoors. To keep the raccoons from rummaging through your trash, you can spread about a cup of Epsom Salt around your trashcans. Raccoons hate the odor of it. If it, rains it needs to be reapplied. When it comes to your beauty regimen, what is Epsom Salt used for? Whether you are looking for a holistic skin treatment or you want to make your hair look perfect, magnesium sulfate can be added to your beauty regimen in myriad ways. Exfoliation: Boost the power of your face wash by adding a 1/2 teaspoon of Epsom. As an alternative, add a teaspoon of Epsom to a 1/4 cup of olive oil, so you can exfoliate and moisturize your skin at the same time. Also, consider applying a bit of Epsom by rubbing it on wet skin: It serves as an instant exfoliate. 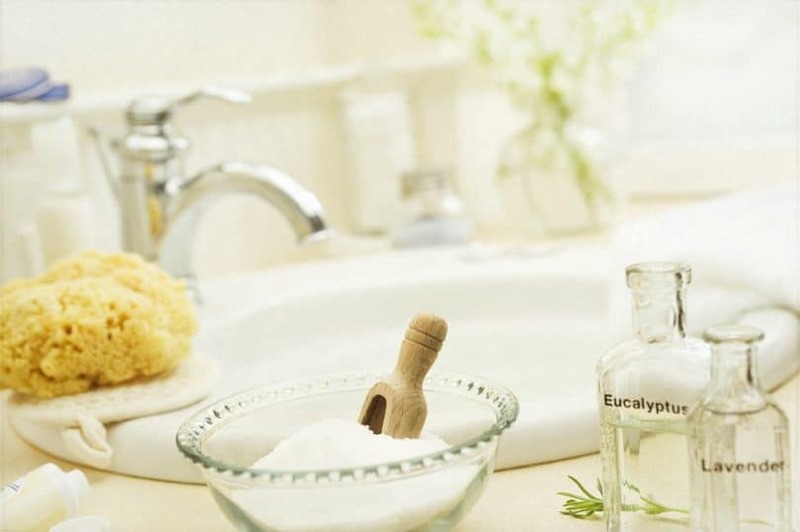 Acne treatment: Already mentioned as an exfoliate, if you add a pinch of Epsom to a half cup of boiled water and three or four drops of iodine, you can apply the mix to blackheads as an all natural and fast acne treatment. Foot treatments: As mentioned earlier, Epsom Salt is most often thought of when one thinks of long relaxing baths and foot soaks. In addition to the latter uses, Epsom is ideal for dealing with and diminished undesirable foot odors as well. When you make a foot soak and soak your feet for a period of at least ten minutes, it will not only soften the skin on your feet and help you remove dry skin, it will ensure your feet feel and smell great. Epsom is ideal for adding more volume to your hair, exfoliating your scalp, and removing hair product build up that comes from conditioners, hair gels, mousse, and hair spray products. Scalp treatment & hair volumizer: Add equal parts of Epsom and condition in a pan and heat on stove until warm. You can use the conditioner of your choosing (perhaps one with a mix of lavender and mint to refresh your scalp). When possible, choose a product that is alcohol free to prevent drying out your scalp and hair. Slowly work the mixture through your hair and allow to sit for 15-20 minutes. Massage into the scalp once more. Run a comb through your hair gently, drawing the conditioner down from the hair roots to its ends. Rinse. Hair product build up removal: When you use hairspray, gels, mousse, and other hair treatments, the products can build up on the hair and make it look dingy and dull. To recapture the natural sheen and attractiveness of your hair, you can mix a bit of lemon juice, Epsom, and a gallon of warm water. Put into a container and allow the mixture to stand for one day. The following day, you can use the entire gallon and let sit on your hair for 20 minutes. Rinse. When asking the question “What is Epsom Salt used for,” you will find the answer is incredibly varied. From cleaning household items like tile and grout, to creating holistic skin and hair treatments; from offering some excellent first aid treatment options to its health improving benefits, Epsom Salt proves a product that every household should have available an at the ready for use. 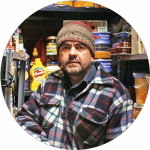 Epsom is readily available in your local grocery and department stores. The price you will pay for Epsom Salt is quite inexpensive, and when considering all the uses you can derive from the mineral compound, you definitely get your money’s worth. Do check out our article on the many benefits and uses of salt to give you more insight on this remarkable mineral.